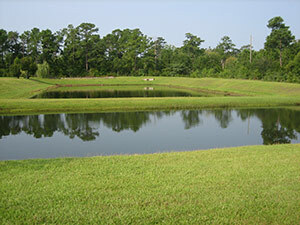 In low-lying areas such as those in Coastal North Carolina, proper stormwater management is a must. Across our region, the heavy rainfalls and residual floodwaters from hurricanes and tropical storms makes stormwater management a top priority, and the CSD Engineering team understands how to design for these high intensity/long duration rainfall events. But while many see stormwater management as simply controlling floodwaters, it’s far more complex. Water quality is also a key factor in stormwater management design, with local, state, and federal regulatory agencies requiring the treatment of urban runoff for removal of suspended solids, metals, and nutrients to protect our sensitive water bodies and prevent water quality degradation in streams. CSD Engineering specializes in the design of innovative and environmentally sensitive stormwater management and treatment systems that address the various federal, state, and local requirements regulating both flood control and water quality. 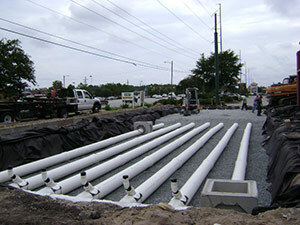 CSD Engineering has provided stormwater management solutions that have withstood regulatory scrutiny time and time again. CSD Engineering’s stormwater management designs routinely address client budget and schedule constraints while meeting or exceeding current regulatory requirements. 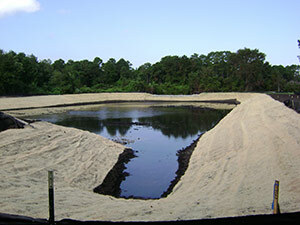 CSD Engineering’s experience in the design of stormwater management facilities within coastal regions has led to a comprehensive understanding of the need for complex stormwater management solutions.